We define success by results achieved. To get there, we partner with you to fully understand your needs and the outcomes you want to achieve. The process is highly collaborative, informed by your current business environment and your corporate culture. 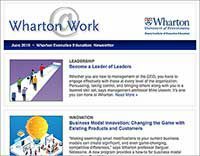 Learn more about the Wharton approach to custom program design. An integral part of your experience is the learning journey that executives take while they are at Wharton. Your organization’s journey — in class, online, group projects, site visits – is unique. Faculty introduces different ways of learning to optimize the learning experience and creates a dynamic classroom environment. Our world-class faculty provides a global perspective and brings relevant, analytically rigorous knowledge to the classroom. We recognize the investment of time and resources required to develop learning solutions that transform organizations and deliver impact. 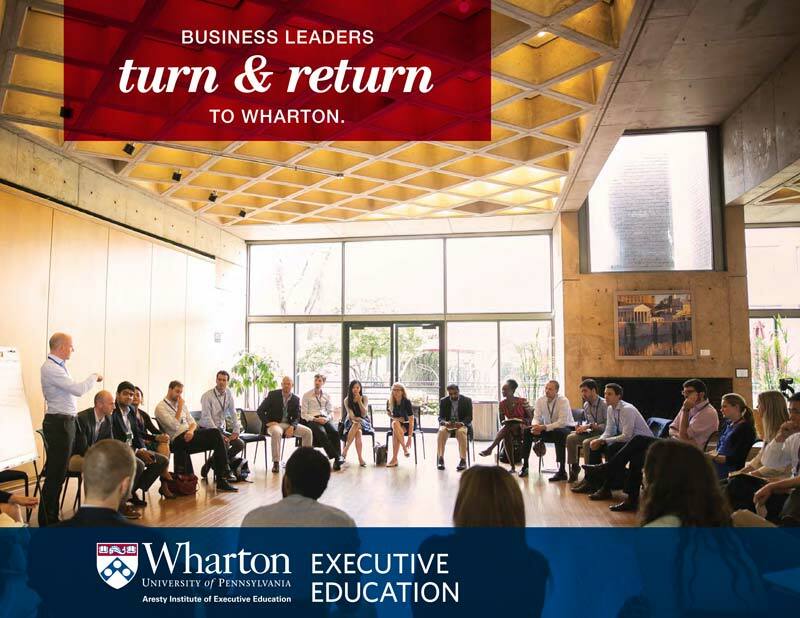 See how some of our partners have achieved significant breakthroughs and return on their investment in executive education.